LÂM ĐỒNG – The Việt Nam Environment Administration has announced that indicators of water, air quality and odour from the Tân Rai bauxite-alumina complex in the Central Highlands province of Lâm Đồng have been within allowed limits. However, many residents living near the complex disagreed with the results, and asked authorised agencies to be relocated. 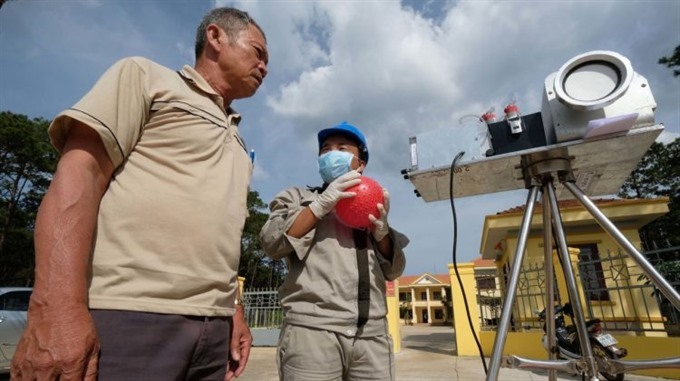 The administration’s environmental monitoring centre said this week it had worked with Lâm Đồng Alumina Company, the operator of the project, to take samples of wastewater, surface water, underground water and air for analysis between January 9 and 13. The monitoring work was implemented under the supervision of locals in Bảo Lâm District’s Lộc Thắng Town. The monitoring points as well as the monitoring times were selected by locals and the centre. Results showed that the quality of wastewater taken from the water drainage pipe No 3 was within allowed standards of national technical regulations on industrial wastewater. Both the samples of surface water, which were taken at the red mud reservoir and spillway nearby showed that they were safe. Indicators of nutrients or toxic were within allowed levels of national regulations on water quality. In terms of underground water, the centre took a sample from the well of Nguyễn Viết Động in the town. The test showed that the quality was good. Another sample of well water in the red mud reservoir smelled due to iron, which was 2.5 times higher than allowed levels. The test also revealed that the amount of noise in the complex met the requirement of national regulations on noise. In terms of air quality, at the time of monitoring, the air quality at three different points of the complex was good with indicators of dust and substance odour within allowed levels of the national technical regulation on air quality. However, most residents in the town are not satisfied with the results of the monitoring work. They asked the agencies to quickly relocate 30 households living near the red mud reservoir. These households had reportedly suffered losses in crops and polluted water when red mud spread in 2014. They also asked the company to implement measures to reduce the stink of the reservoir and help affected households whose land was revoked to serve the project. Vũ Minh Thành, head of the Lâm Đồng Alumina Company admitted that the production activities impacted the environment and the lives of people in some ways although most of indicators were within allowed levels. He suggested measures to reduce the impact on the environment. The company aims to plant trees around its complex to improve the situation. The company was currently in the process of renovating production technology, which would be more eco-friendly.